How can delivery companies improve productivity and performance with the help of technology? By introducing telematics, delivery companies like Prompto Despatch Limited can gain a competitive advantage. Telematics systems help improving operations, cutting on global fleet costs and having a great customer service. 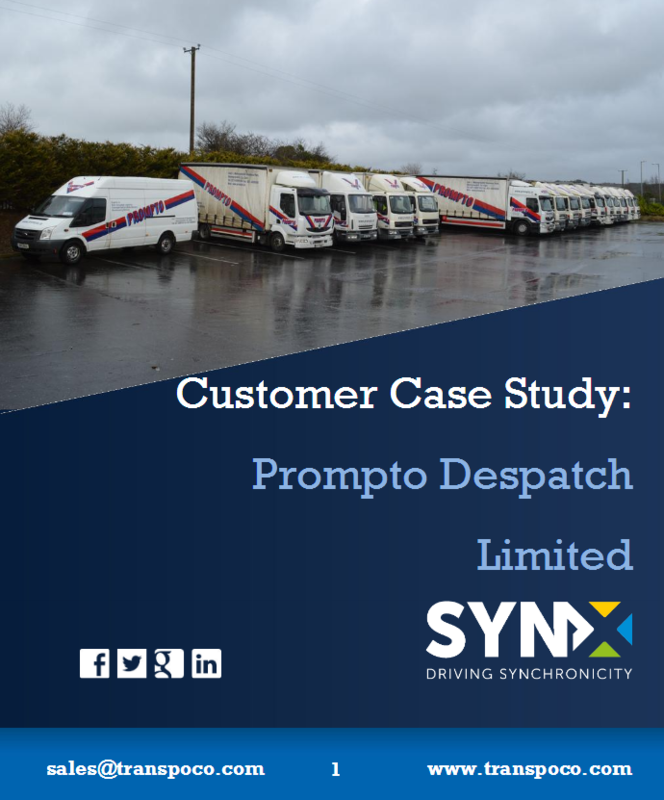 Download our free Customer Case Study and learn how Prompto Despatch Limited reached success with SynX! Fill in the form and get our free Customer Case Study now and learn what telematics can do for your fleet! Yes, I want a FREE copy of 'Customer Case Study - Prompto Despatch Limited'!